Next on the Autumn Must Have list is a GREAT scarf! My favourite fashion item clearly as I appear to have accumulated what looks like about 200 of them. Do I really need to sell this one to you? 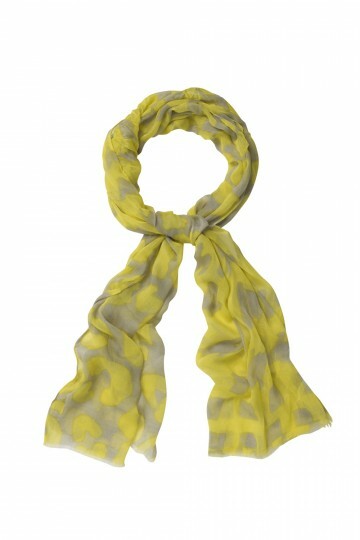 A scarf really lifts an outfit, when worn the right way it disguises mummy tummy AND it keeps you warm. What's not to love? Here are just 5 favourites that will see you through this autumn..
Full competition details will come on a separate post...but for now, get your cameras out and take a photo of your School Gate Style. What did you wear on the school run today? Email them to schoolgatestyle@yahoo.co.uk or tweet/Facebook them with #schoolgatestyle and I'll draw one at random to win some Neal's Yard goodies! This is not a style competition - there's no judging on School Gate Style - just sharing and inspiring - so I'll be sharing a selection of the pictures on the blog when I announce the winner. Closing date is Friday 14th September. Join me tomorrow for Autumn's Must Have Number 3 - have a great day! Great post. I love scarves - I am on the hunt for a poppy one. Since reading your blog I have purchased several scarves and get complimented when I wear them! Currently hunting for the scarf Mel Giedroyc wore on last week GBBO but sadly can't find it anywhere. Hi Did you ever find the scarf that Mel Giedroyc wore? Couldn't agree more, so glad I have my Louis Vuitton leopard one. Only problem is nothing else matches up and I just want to wear that one constantly for about the last three years! May I introduce my longtime lust items http://www.age-of-reason-studios.com/main-collection/knotted.aspx <3 Age of Reason! Flip!! I almost took a photo of my school gate style yesterday at the school .. Let's say it was style and not fashion !! I'll dress up again and take a photo. 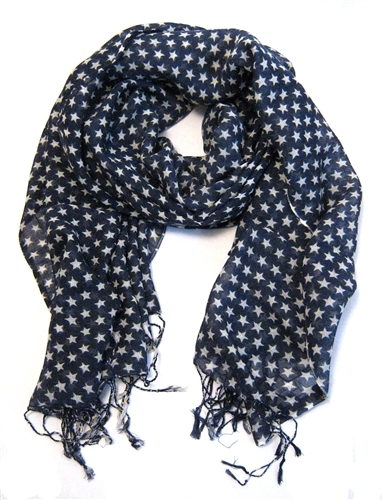 I love the blue falling leaves scarf. 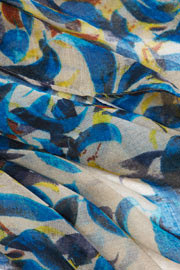 I also saw a lovely blue scarf with coloured sculls on it in Callan a few weeks ago. Im tempted To go back to see if it's Still there. 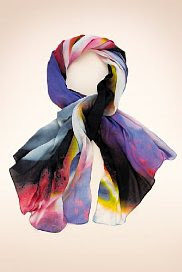 Love the Next Scarf and one from Scarf envy! Have to say, I love that Mint Velvet one. Lovely to meet you last night :) was a great launch! 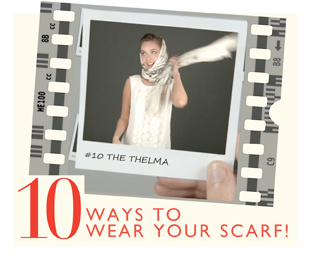 And I am loving the first scarf in this post! Great minds think alike! I have a post all about scarves ready to go this week and I've even included the Mint Velvet demo video! Laughed when I saw you had it too. Lovely scarves ... like you, I love them and have far too many to count! a great scarf is soo necessary!! i need more! I love scarves and where them all the time. Great post..... I am becoming obsessed with your blog!!! Ha ha, no need to sell me on a scarf. . .I LOVE them! I'll definitely be wearing them all the time in the Fall! beautiful post! !i'm new follower your blog!!!! How right you are!! 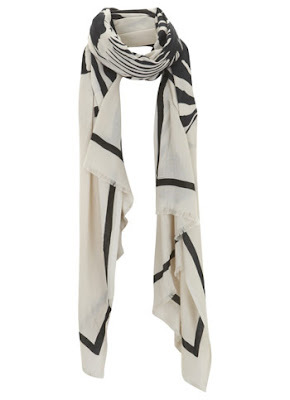 I love scarfs and think they're the perfect accessory for a chic look. By far my favorite fall accessory!! You should YouTube Wendy's Lookbook on how to style a scarf. It is an awesome video! Thanks for stopping by my blog. New reader! I also love the mint velvet zebra one and would totally recommend watching the Wendy's Lookbook video - not just because it's great to see all the different ways to wear a scarf but also because it's what gave her blog a meteoric rise to fame in only 1 year - pretty incredible stuff. Thanks so much for your comment on my post - glad I was able to make you smile! Hi Wendy...I love those photos you posted today - I'd love to meet Mark Heyes so I'm v envious! I am a scarf addict so loved this post!! I actually have one that looks like the blue star scarf, but it a trendy scandinavian design make. During winter I wear a scarf at least 5 times a week and am always on the look out for a new one. I think the Next one may be in my future!